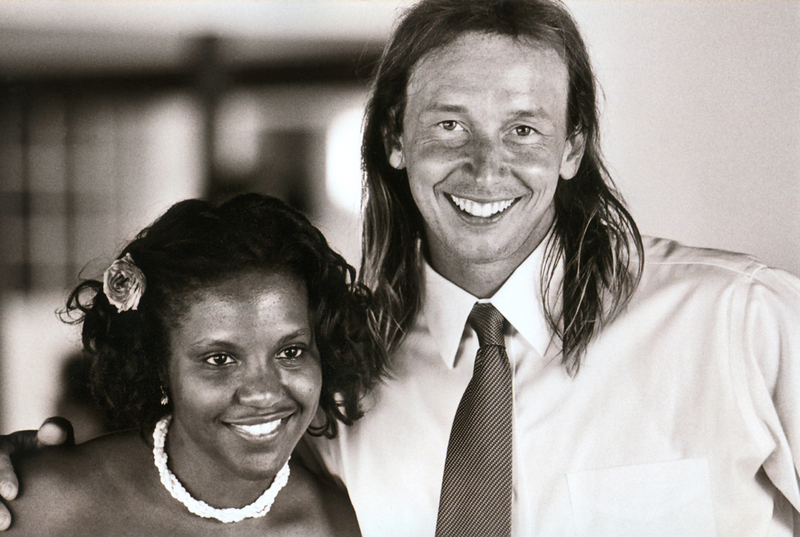 A lot of times, when I get that not-so-post-racial feeling around town — when my presence at the local ice cream store curls the faces around me into question marks; when a stranger stops me, tells me how cute my kids are and then asks where their mother is — I think of another interracial couple who made their way in small-town America: the Lovings. In 1958, when she was 18, Mildred Dolores “Bean” Jeter married the man she loved, a bricklayer and family friend from her Virginia hometown, Richard Perry Loving. A month after their out-of-state wedding, the newlyweds were roused from their beds in the dead of night by police. They were arrested, jailed and, for all intents and purposes, banished from the state for violating the Racial Integrity Act. 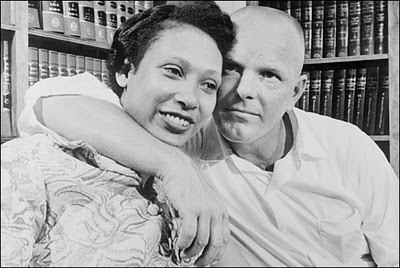 In facing the charges against them, Mildred and Richard pleaded guilty in court, because they were guilty: Their marriage certificate, which hung on their bedroom wall, was no good, just like their mixed-race union. Clearly, Virginia wasn’t always for lovers. But on June 12, 1967, 44 years ago today, the US Supreme Court unanimously rejected the state’s argument that keeping the races from marrying was part of God’s plan. The couple’s convictions were overturned and, after 25 years in exile in Washington, D.C., they returned to the only place they had ever wanted to be, Caroline County, Va. Now every year on this day, Loving Day, those who walk in the Loving’s footsteps celebrate the love that started between a boy and a girl, and that eventually dismantled anti-miscegenation laws in more than a dozen states. Like me, Mildred Loving had three children. Her husband was proudly blue-collar, like mine. But while I sometimes experience our biracial outpost like some kind of frontier pilgrim in the rural depths, Maple Street is a racial utopia compared to what the Lovings endured. When I started to feel frustrated, I called a web developer and created a blog. When Mildred Loving felt frustrated, she called then-Attorney General Robert Kennedy, and created a racial firestorm. I can’t comprehend how shunned they felt, and I can hardly believe what they sacrificed — their own safety, the safety of their children, the much easier road of staying with their own kind. But I am so grateful. This entry was written by caramels on maple street, posted on – Jun 12 at , filed under history, Loving Day and tagged Loving Day, Mildred Loving, Richard Loving. Bookmark the permalink. Follow any comments here with the RSS feed for this post. Post a comment or leave a trackback: Trackback URL. Hi Francie, I just found your blog through MixedByLove and I had to stop by. This post amazes me! You have so much courage to stay in that small town! I am glad that you have the example of the Lovings to help you stay strong. To be honest–I don’t think my family could handle it. We live in a university town in the midwest that gets 30,000 additional residents every fall. But I work in a very small, rural, white community. It would save us a lot of money if we lived in the small town where I worked, but we decided that we didn’t want our children to be the only people who looked like them in school. I have seen mixed families try to make it in the small town, and they can never survive the racism and pressure that goes along with living there. I took my children with me to Small-town when they were babies. They attended daycare and preschool there. They each did fine, but were different people: less talkative, less confident, less social. My youngest, especially, seemed so sad when she was in Small-Town. After those experiences, we decided that when our kids are old enough, if they choose to confront that kind of racism by living in a small town we will support them; but we couldn’t force them to be the only brown kids in their school. I think that every mixed family who tried living there, without exception, moved away to the university town where I live. It is a sad, but true story of our “post-racial” society. For now, we are pretty happily living in our university town. My family comes with me to work sometimes and they are the only brown people in sight. It is a feeling that they can handle for a day, but not one they’d like to feel all day, every day. Again, I think, your family is so strong! I admire your courage and wish you the best. I know it isn’t easy at all. I pray that you can help that town grow and pave the way for more mixed families in small-town New England.